The next bimonthly BAC meeting is Wednesday, September 3, 2014 beginning at 6pm. We will be at the One Judiciary Square building, 441 4th Street NW, room 1114. As always, DCBAC meetings are open to the public and we invite you to participate in our discussion about the District's bicycling issues. When entering the building, please make sure to bring government-issued identification and use the south elevators to get to the 11th floor conference room. Bicycle parking is available in front of the building and please remember to also bring your bike lock. 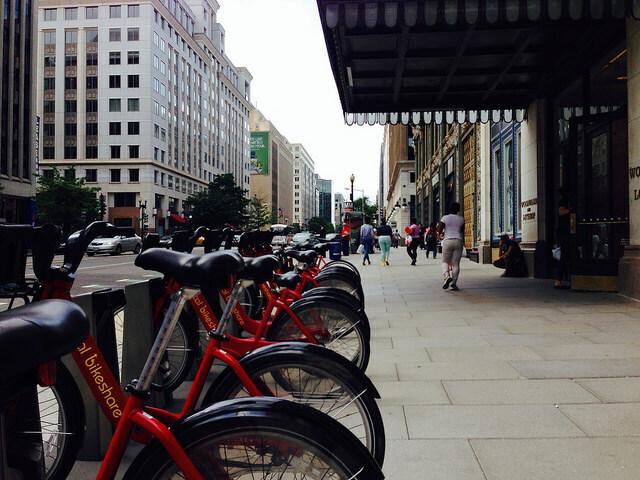 The closest Capital Bikeshare station is at the entrance of the building. As always, BAC meetings are open to the public and we encourage the sharing of your thoughts and your questions. If you cannot attend the meeting, please leave use our comments section below or @DCBAC on twitter.